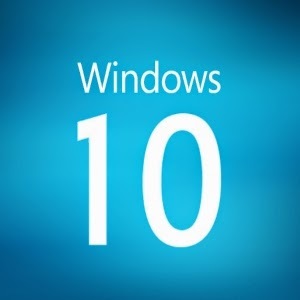 According to Microsoft, we won't see a Windows 10.1 or even Windows 11 for that matter. This doesn't mean the Redmond based company won't update its operating system, just that the update won't be named as it was previously, in the transition from Windows 8.0 to Windows 8.1. This news was declared by Jerry Nixon, a Microsoft employee and developer evangelist, at the company's ongoing Ignite conference in Chicago. Nixon explained that the company will be pushing updates to the Windows 10 platform regularly. He stated, "Right now we're releasing Windows 10, and because Windows 10 is the last version of Windows, we're all still working on Windows 10," which clearly means that future updates will also be branded as Windows 10. The above statement clearly means two things. First is that there will be no other operating system like Windows 10.1 or even Windows 11. Windows 10 will be the ‘last’ operating system and it will be kept updating as and when changes are made. These changes will be pushed through Windows Updates instead of grouping them together and making a new version of Windows. The statement from Jerry Nixon comes as a confirmation for the first theory. The second important thing that we can deduce from the statement that Windows may go to subscription based. As there will be updates and the updates will be made available to the users of Windows 10 users, there has to be some way or the other to make money for the company. This pushes the concept of subscription model. Though it may take some time but eventually, it will end up with the subscription model meaning you will have to pay an annual fee (or whatever period Microsoft chooses) to receive updates. Windows is one of the most wide selling products of Microsoft and it won’t give it away for free forever. Though it is well known that Windows 10 will be free upgrade for users of Windows 8 and Windows 7 for one year from the date of its release, the company cannot afford to keep on providing free updates to users. The user base of Windows is too big to be ignored and not monetized. This lends brevity to our theory that Windows will become subscription based as there won’t be any more versions of Windows operating system as said by Jerry. While the move comes as expected and will counter piracy and similar issues, it is yet to be seen how Microsoft manages the cost of updates. Since the user base includes college students and people from different income brackets, we can just hope that either there will be different subscriptions or the subscription amount will be within budget of most users.